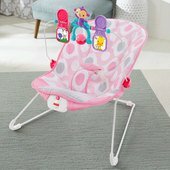 Cute & comfy, soothing & entertaining-it’s the best (baby) seat in the house! 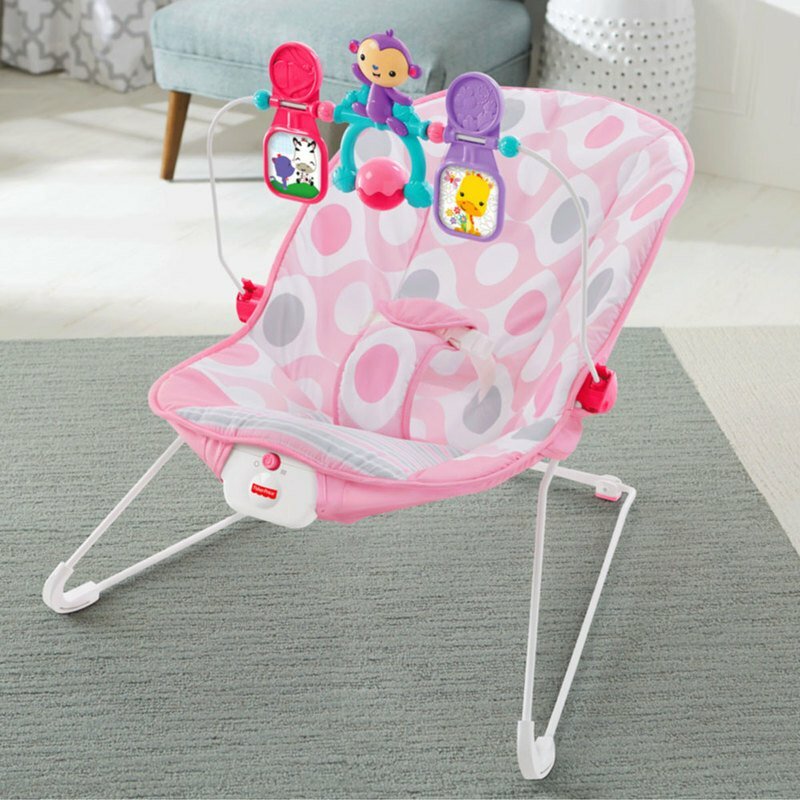 Get busy relaxing (and playing) with Baby's Bouncer! The seat gently bounces in response to baby's natural motions. 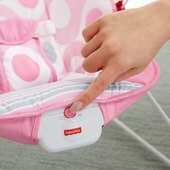 A press of a button adds optional calming vibrations, too. When it's time to play, three animal friends on the toy bar encourage baby to reach and grasp (exercising developing motor skills), bat (encouraging development of eye-hand coordination), and play (which is just plain fun)!